It’s finally starting to get nice out here in the Northern Midwest, so that means bridal season is starting up! This also means that I am gearing up for all of my wedding parties in the next few months. 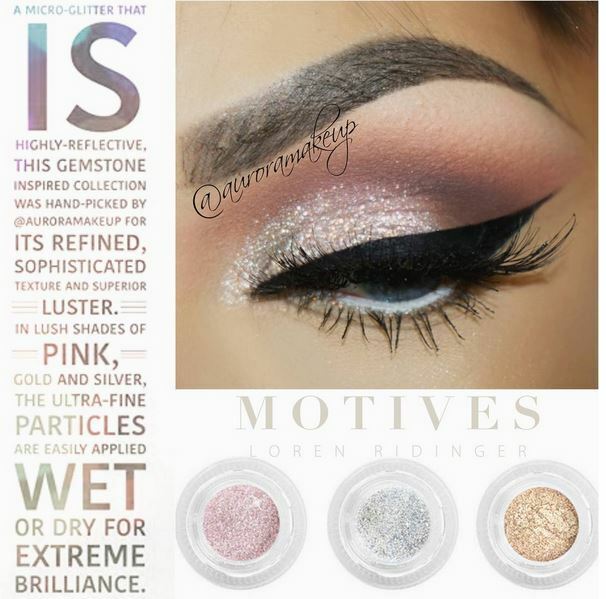 So, it was great timing when I was in Miami for Motives Cosmetics Spring/Summer 2016 Collection Launch, and they introduced a couple of new products perfect for brides and their attendants. I chose to feature two products, but hope to review the other new releases at a later date. Understated and delicate, I Do Palette is filled with hues of shimmering pink and neutral mattes, paired with warm cheek shades to accentuate your beauty on the most important day. 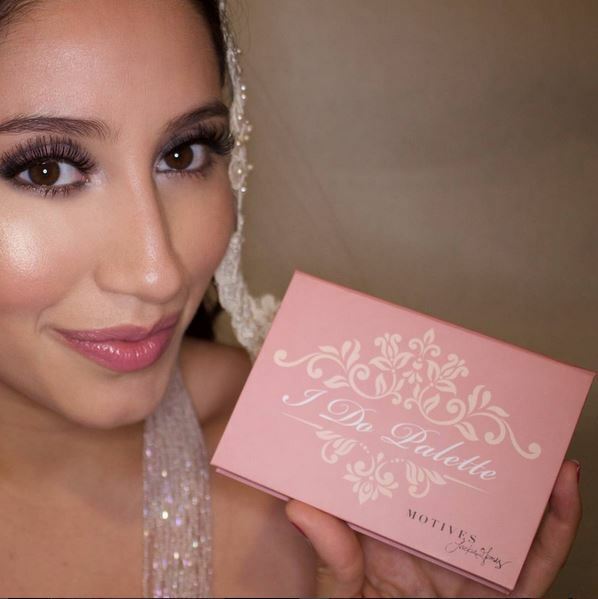 With her celebrity brides in mind, @jgmakeupxoxo designed I Do Palette to exude romance for a classic look that complements your eternal love. Includes five eye shadows (Rings, Cake, Dance, Cake, Kiss), one blush-Love, one bronzer-Toast, one highlighter-Vows and one mini eye pencil-Brown. I love the names!! It is a micro-glitter that is highly-reflective, this gemstone inspired collection was hand-picked by @auroramakeup for its refined, sophisticated texture and superior luster. In lush shades of pink, gold and silver, the ultra-fine particles are easily applied wet or dry for extreme brilliance. I couldn’t wait to get my hands on these new products created by the two beautiful Motives Mavens. We decided to use them for one of our collaboration blog posts. Here’s my beautiful model Allie. I wanted to get some pictures outside, but believe it or not, it was snowing! 5. Applied “Rings” to the inner corner of the eye with the Motives Blender Brush and blended it in to the other colors on the lid including into the crease of the eye. 9. Sprayed the Motives Crease Brush with 10 Years Younger Setting Spray and dipped it into Gem Sparkles-Zirconia. Then used a patting motion to apply it to the inner corner, and swept it onto the rest of the mobile lid. I was honestly so impressed by the quality of the “I Do Palette”. The eye shadows are so pigmented. Even the light colors show up so well. They are very smooth and velvety too. The blush is the perfect pink, and the highlighter adds just enough without overdoing it. The Gem Sparkles are easy to work with and are a lot finer than regular cosmetic glitter. I have been using these products so much since I wrote this because they look good on more than just brides! 😉 For any brides out there, these make wonderful gifts for your wedding party, or even your hired makeup artist! Have you tried some of these new releases? If not, you will want to. I know I’m in love! !